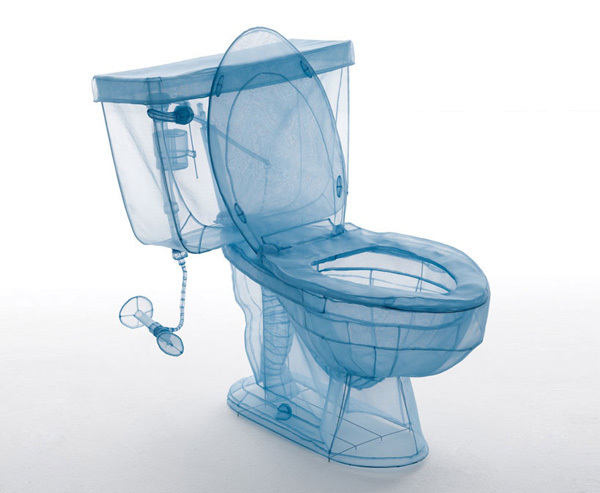 Artist Do Ho Suh has utilized textiles as a way to express his personal memories of architectural spaces. His installations, including Home Within Home, the Apartment Series and the Specimen Series, look at everyday environments and objects in a different way. What is unique about these installations is the construction. Every detail is constructed using a transparent polyester silk fabric that is formed via wire structure. The transparency, which fluctuates between opacity and visibility, appears throughout much of his work, evoking the layering of space. The end results are amazing. The Speciman Series was Suh’s first solo exhibition. The collection contains six life-size replicas of various household appliances from Suh’s apartment in Manhattan. Each element has a semi-architectural wire framework which supports a transparent polyester fabric. This immersive 3-story town house is a transparent reproduction of the Residential Building in Providence, Rhode Island, where Suh once resided. As one of the sculptures on display, visitors were able to enter the multi-layered space where they can consider their own interpretations of the ever-expanding concept of space. The apartment series began in 2011. It is currently on exhibit at The Contemporary Austin until 2015. The series includes a collection of rooms and passageways from Suh’s apartment complex in New York City. 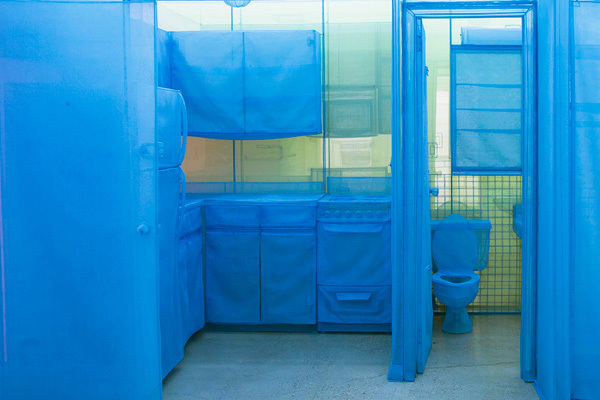 Do Ho Suh (South Korean, born 1962 in Seoul) splits his time between New York City, London, and Seoul. He received a BFA in painting from the Rhode Island School of Design and an MFA in sculpture from Yale University. 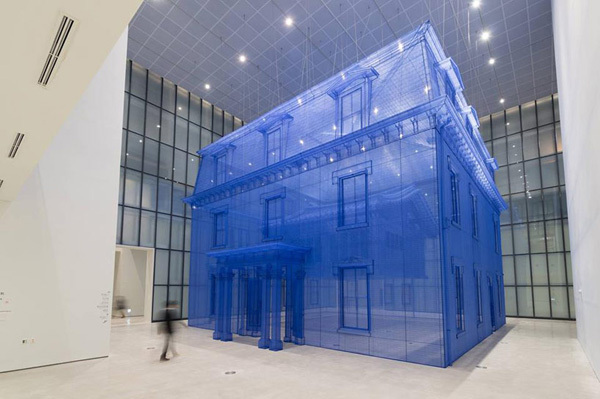 His recent solo exhibitions and projects include Home within Home within Home within Home within Home, the National Museum of Modern and Contemporary Art, Seoul (2013–2014); Do Ho Suh: Perfect Home, 21st Century Museum of Contemporary Art, Kanazawa (2012–2013); In Between, Hiroshima City Museum of Contemporary Art (2012); Fallen Star, the Stuart Collection, University of California, San Diego (2012); Home within Home, the Leeum, Samsung Museum of Art, Seoul (2012); and Wielandstr.18, 12159, DAAD Galerie, Berlin (2011). In 2001, Suh represented Korea at the Venice Biennale and subsequently participated in the 2010 Venice Architecture Biennale, the 2010 Liverpool Biennial, and the 2012 Gwangju Biennale. Suh was named WSJ. Magazine’s 2013 Art Innovator of the Year.